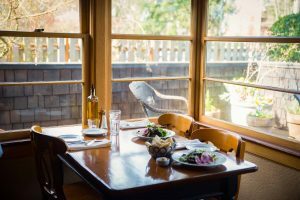 For over two decades, the Pierce County AIDS Foundation (PCAF) has been a part of Dining Out for Life, a day where participating restaurants donate a large portion of their profits to local HIV-related charities. Marzano Restaurant in Parkland has been a longtime supporter of PCAF and has made Dining Out for Life an annual tradition the past 25 years. 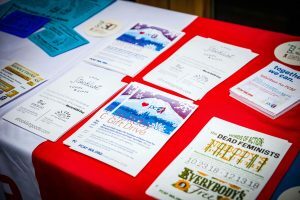 Their partnership has raised thousands of dollars for vital programs dedicated to helping people who are HIV-positive in the South Sound region. Dining Out for Life, which takes place on April 25, 2019, is an event for participants to bond over a meal and bring awareness to those living with HIV and to contribute to the local efforts that support people with the disease. 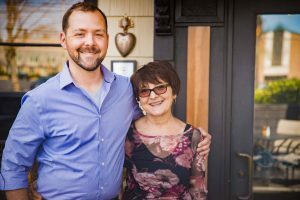 Year after year, the owners of Marzano Restaurant, a mother and son duo, have always been the first to respond when asked to partner with PCAF for Dining Out for Life. This annual tradition has fostered many long-term relationships both within PCAF and with restaurant diners. For PCAF, having that community support is vital to their mission. Their services are split into two categories: preventing the transmission of the disease and helping those who are HIV-positive live their life to the fullest. As HIV research and treatments have improved over the years, it is becoming a significant part of PCAF’s mission to help an aging HIV-positive population. Local Dining Out for Life proceeds, including from Marzano Restaurant, will go to PCAF’s HIV prevention efforts including education and access to PrEP, a medication that can be taken daily. If taken consistently, it has a very high success rate of preventing transmission of HIV infection. For those close to PCAF, Dining Out for Life is seen as a celebration of life and community through the act of sharing a meal. It is a time to reflect on how far the world of HIV research has come and how much work there is still left to do. To learn more about Marzano’s and their menu, visit the Marzano Restaurant website. To learn more about PCAF and Dining Out for Life, visit the Pierce County AIDS Foundation website.